PI Coater Line for Flexible Display SK-P series | SCREEN Finetech Solutions Co., Ltd. 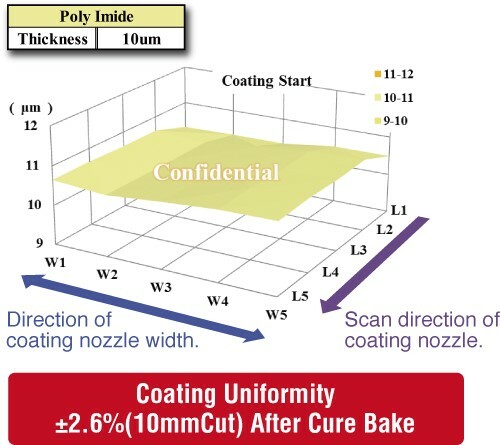 The Linearcoater™ high-precision slit-type coating system has been relaunched as a Polyimide coater for flexible display. Integrated system control throughout the line maximizes productivity and efficiency of movement between units. Piping system and high pressure resistant precision pumps are optimizd for high viscosity Polyimide material. Original degas sysem enhanced productivity. * A pilot line configuration is also available.